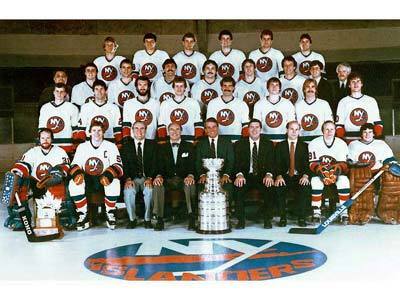 The 1983 Stanley Cup Final NHL championship series was contested by the Edmonton Oilers in their first-ever Final series appearance and the defending champion New York Islanders, in their fourth, and fourth consecutive, Final appearance. The Islanders would win the best-of-seven series four games to none, to win their fourth-straight and fourth-overall Stanley Cup. It was also the fourth straight Final of post-1967 expansion teams, and the first involving a former World Hockey Association (WHA) team. This is also the most recent time that a defending Stanley Cup Champions has won the cup 4 years in a row, since then no team has won more than two consecutive championships. Edmonton defeated the Winnipeg Jets 3–0, the Calgary Flames 4–1 and the Chicago Black Hawks 4–0 to advance to the finals. New York defeated the Washington Capitals 3–1, the New York Rangers 4–2, and the Boston Bruins 4–2 to make it to the finals. 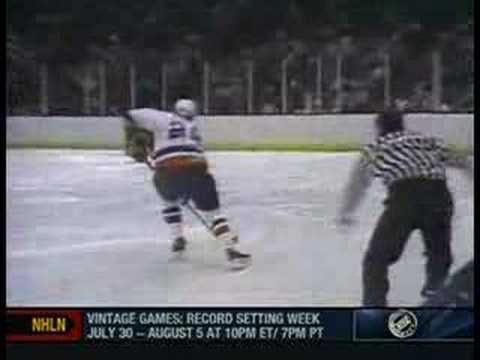 Billy Smith limited the Oilers to just six goals in the four games, and shut them out in 7 out 12 periods. In his first appearance in the Finals, Wayne Gretzky assisted on four of the Oilers six goals but failed to score himself. 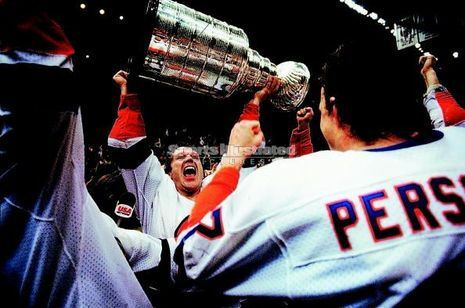 After Game Four, the Oilers players walked passed the Islanders' dressing room and noticed many of the Islanders players exhausted and covered in ice packs rather than wildly celebrating, with Mark Messier suggesting that this gave the Oilers inspiration that they needed in order to win next year. A team of experienced Islander veterans literally showed the young Edmonton Oilers how to play playoff hockey, sweeping them four games to none in the Stanley Cup Finals. 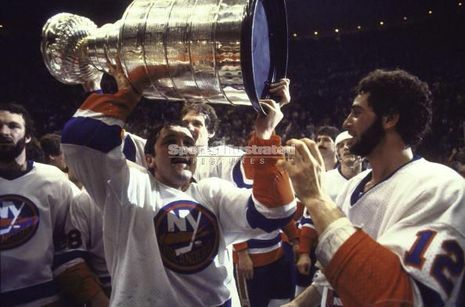 The Islanders became only the second team in NHL history to capture four-straight Cup titles. New York goaltender Billy Smith limited the Oilers to just six goals in four games and was awarded the Conn Smythe Trophy. Wayne Gretzky recorded only four assists in his first Stanley Cup Final.